The production Atlantean appeared in 1958, but the early examples proved troublesome and expensive to maintain. Nevertheless, the concept appealed to several operators, and, by 1963, Portsmouth Corporation, long time devotees of the Leyland marque, must have thought the risk to be worthwhile, for it bought a batch of 35 PDR1/1 buses in that year, followed by a further 10 in 1964 and 9 more in 1966. All members of the Portsmouth PDR1/1 fleet carried the very plain Metro-Cammell H43/33F body design. The Corporation subsequently switched to the PDR1/2 version and finally to the AN68. Seen on 13 August 1967 at Portsmouth Harbour, known locally as “The Hard”, is No.224, 224 BTP, one of the 1963 deliveries, displaying the superb Portsmouth livery to good effect. I doubt if trips round the harbour are now offered for 15p (3/-) but, unlike the late 1940s/early 1950s when I lived in Alverstoke, the current Royal Navy could almost be accommodated on the Serpentine in Hyde Park, so there isn’t much to see these days. Mixed feelings about this photo. The Atlantians were the mainstay of my trips to school on the 143 but their arrival marked the end for the much loved trolleys. So typical of CPPTD’s pride, four years old and yet still looking brand new! Even if they were troublesome in their early days, the department was well up to coping with whatever was thrown at it. IF I recall The Hard for anything, it was the Mudlarks rummaging on the muddy foreshore which passed as a beach there, with them searching out coins thrown at them by passers by! Not forgetting the three lines of trolleybuses parked there at the terminus, awaiting the dockers coming out, at least those that weren’t on a bike. It was always like the beginning of a bike race here at coming out time! This was a time of transport change in the area. Not long after, the electric ‘Nelson Stock’ trains acquired their half yellow fronts, then later went from dignified green to plain blue, not even with any grey to relieve the monotony, as other trains . 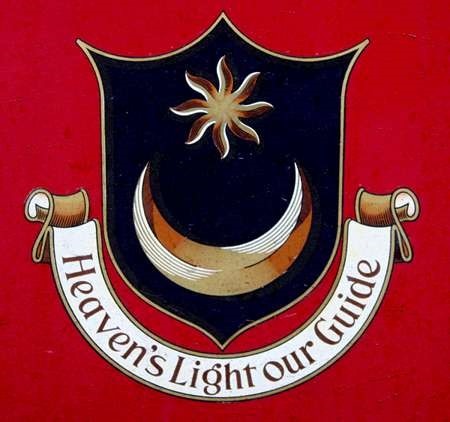 My other abiding memory, when coming into Havant rail station during my 1957-59 National Service days, was hearing the announcer, in broad Hampshire ‘burr’ saying, ‘avant, this is ‘avant. Change ‘ere for the Broighton Loin, change ‘ere for ‘ayling Oiland!". Now, they all talk like Londoners. (I am a Londoner!). Reminiscing? Not I! Wonderful memories Chris, but they were dockIES, not dockERS – they didn’t load and unload ships they built and repaired them. They were commonly known, the ones on the bikes at least, as Dockyard Mateys! Yes, a great picture of a Portsmouth bus still proudly presented. The Corporation seemed to be forward thinking in these days, with the trolleybus conversions using some one-person operated saloons (noteworthy for urban use at the time), and then the use of Atlanteans for the final conversion. Other south coast municipalities were generally slower to move to rear-engined buses, I recall. 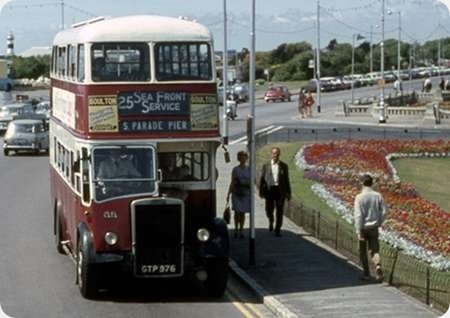 However Portsmouth waited for other pioneers to iron out initial difficulties – Reading had used O-P-O saloons a year or two before them, and Hastings’ trolleybus conversion with Atlanteans was back in 1959 (although a BET operation, it was somewhat municipal-like in its scope). The result was that Portsmouth’s Atlanteans were of the "Mark II" variety, introduced that year. In fact I think the first few were delivered in original format, and were returned to the maker for modification to the new format. Also, the bodywork contained the "Manchester staircase" as opposed to the original Met-Cam design. Dave mentions their use on route 143 – this was previously route C/D, which used to change the screens on route because of its length. When it became 143, the whole route detail was squeezed on to the via screen, with the final destination in the smaller screen below. The result looked extremely squashed, and rather spoilt the overall appearance in my view. The terminus has also changed it’s name in recent years. Just plain "Dockyard" sufficed when the picture was taken. Much later it became "The Hard Interchange", and nowadays it’s "Gunwharf Quays". I always felt that "The Hard Interchange" was a little unfortunate, bearing in mind that one could change from a bus or coach to the Gosport Ferry or London/Southampton/Brighton line trains – was it really that hard? We all hoped not! 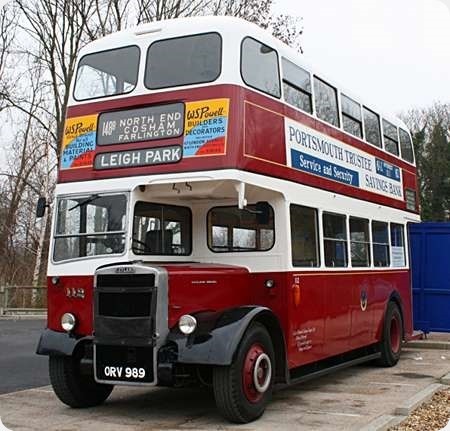 One minor correction to the text is that Portsmouth did not have any PDR1/2 Atlanteans – this was the version with a drop centre rear axle, intended for low height bodies, although some operators used it to permit additional headroom in the lower saloon. After the PDR1/1s, Portsmouth’s next Atlanteans were the PDR2/1 single deckers – the PDR2 being the longer wheelbase version of the chassis. 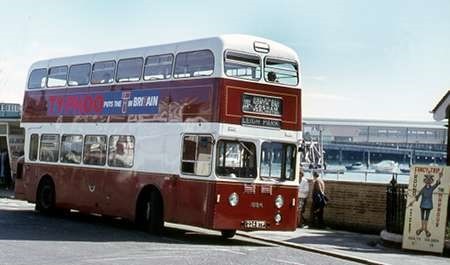 The next double deckers were Alexander-bodied AN68s. This is a great view of a Municipal bus in traditional livery, even to the lining out. The light upper paintwork, white or cream or whatever depending on which fleet is in question, has often been regarded as difficult to photograph. With a blue sky, it stands out. Thank you, Roger, for posting. Like, Mr Hebbron, I am a Londoner, but by default, since my parents were living there when I was born, but I am of Lancashire origins. Between "The Hard Interchange" and "Gunwharf Quays", Michael, was it not simply "The Hard"? Pete, it may well have been just plain "The Hard" at some point. I do remember "The Hard Interchange" being used on the AN68 Alexander bodied Atlanteans. But when de-regulation came in and there were so many changes, it may well have become "The Hard", perhaps depending on the operator, and/or size of destination screen. I don’t have ant specific memories of those more recent times! There is an sameness about these earlyish Atlanteans and Fleetlines- or am I not observant enough? They were all boxy, with separate windscreens right and left and no sign of any overall design or even "styling" features that may be found on an older half-cab. They all seem to be built from the same standardised components and carrying over the half-cab liveries. Only later, or even much later, came shrouded bustles, one piece screens and larger window bays. Was Liverpool the first to introduce a complete "new look"..? that’s a provocative question. It used to be ‘DOCKYARD’ in the 1950s and early 1960s. ‘Hard’ was the Hampshire term for the first bit of dry land one came to from the sea. Across the harbour, Gosport Hard was known to Provincial as ‘GOSPORT FERRY’ and the Hants & Dorset as simply ‘GOSPORT’, and the same applied to the solitary Southdown rout, that from London Victoria Coach Station via the Meon Valley. The bus is either operating route 148A or 148B. At that time, routes crossing the City boundary had Southdown rather than Corporation numbers. In answer to Joe, I think that in the beginning the overall appearance of the Atlantean, however bodied, was so revolutionary that no-one noticed that the detailed styling was derived from the MCW Orion (which itself wasn’t very old at the time). The Park Royal/Roe version was clearly a copy, and even the Alexander used similar window dimensions, while Northern Counties used their own halfcab styling in the same way that MCW used the Orion’s. So yes, the Liverpool Atlantean was the first example not to be based on either halfcab styling from the same builder or someone else’s Atlantean/Fleetline. Strangely, only Liverpool, Bolton and Bury took it, all other MCW customers staying with the Orion-based design, with or without a prettified front end. Bury, after its flirtation with MCW Liverpool style bodies, continued to look for something more attractive and went to East Lancs which produced almost identical bodies to those of Warrington. The Warrington bodies were built by the East Lancs sister company, the Sheffield based Neepsend, who built the same design for Sheffield on Atlantean chassis and shared an order for Coventry with East Lancs on Fleetline chassis, 13 bodies being built by Neepsend, 9 by East Lancs. In between the Liverpool style Atlanteans and the East Lancs Fleetlines Bury took 15 Fleetlines with Glasgow style Alexander bodies but with the Midland Red style vee windscreens. These were very attractive buses and to my eyes were the best looking of the three manufacturer’s products for Bury. Not sure what happened with my post on this topic yesterday. My original post overnight Wednesday/Thursday included a mention of the Alexander bodied Fleetlines prior to those from East Lancs and was listed when I checked the site at around 08.00 on Thursday. Clicking the link to the comment revealed that it had not been added to the thread. I sent an email regarding this and a truncated version of my original then appeared. I digress from Pomopey buses, but want to add to Chris Hebron’s memories of station announcer accents. At Portsmouth & Southsea station for many years I always heard "Portsmouth and Saysey, this is Portsmouth and Saysey, remain on the train for Portsmouth arbor, the Oila Woyt and Gosport ferries." Now it’s electronic in perfect clipped accentless English. When I was a driving instructor I had one pupil with a quite extreme stutter/stammer, he was employed as a station announcer and I never heard him mis-speak at work.